I am a highly analytical person with a degree in Electrical Engineering from the University of Illinois. That’s a short way of saying I don’t normally do impulsive things. Planning for this cross country ride, I have plotted out the route of approximately 3,014 miles that will take me from 5 to 8 weeks. I have recorded the typical high and low temperatures for each place along the way along with the peak elevation points for each day. I’ve thought about this for 45 years! However, there’s still a world of difference between thinking and doing. There have been a few milestones to help prepare me for the doing part. At the end May, 1975, I was finishing my freshman year of college. 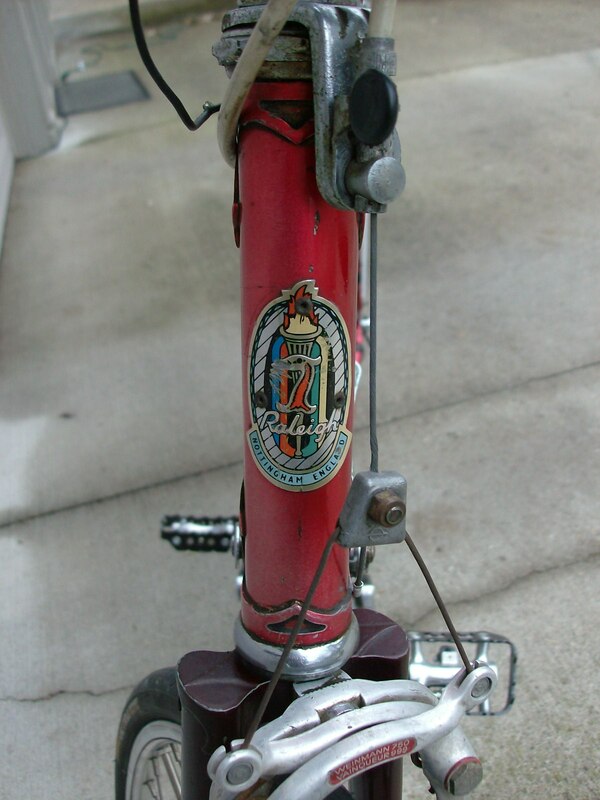 I had my dad bring down my prized 10 speed, a Raleigh Grand Prix (Made in England) that I had bought 3rd hand from a friend in the latter part of my Senior year of High School. At college, I had been riding a 26” coaster brake Schwinn that was handed down from my older brother when I was about 11 years old. If the Schwinn was left out in the snow or stolen, I wasn’t going to be too upset. I was a lot more protective of the Raleigh. This bike had stayed home in South Chicago Heights. At the end of that second semester in Champaign, my dad came down with the bike and left with everything I owned, except the Raleigh, a map, some cash, and the clothes I’d wear the next day. There were no spandex shorts with chamois seat pads, no padded gloves, or helmet. I wore some cut-off jeans, a t shirt, tennis shoes and maybe had toe stirrups attached to the pedals. I had no bike computer or even an odometer. I had a simple bag hanging below the Brooks leather saddle that had a wrench set, a spare tire, tube repair kit, and the special glue needed to secure the ‘Sew up” or tubular tires to the aluminum rims. I figured I could average 10-15 mph, so by regularly checking my watch I knew I should be covering a mile every five minutes or so. Once out of Champaign, I was quickly in farm country. I would look in the horizon for signs of the next town – typically indicated by a water tower in the distance, with more trees and fewer corn fields. At each town, I’d get a can of pop, check the map to see how far the next town was, maybe find a bathroom, then pedal on. I had left around 7 AM and by 6 PM I was within 10 miles of home, with around 110 miles behind me. Up until that day, I don’t think I had ever ridden more than 25 miles at once. It’s amazing what you can do when you’re young (almost 19) and stupid.